China's quantum satellite "Micius" has allowed scientists to achieve quantum key distribution between China and Austria, laying a foundation for building a global quantum-secured communication network. The achievement, jointly made by Chinese and Austrian scientists, was published on Jan. 19 in the journal Physical Review Letters. 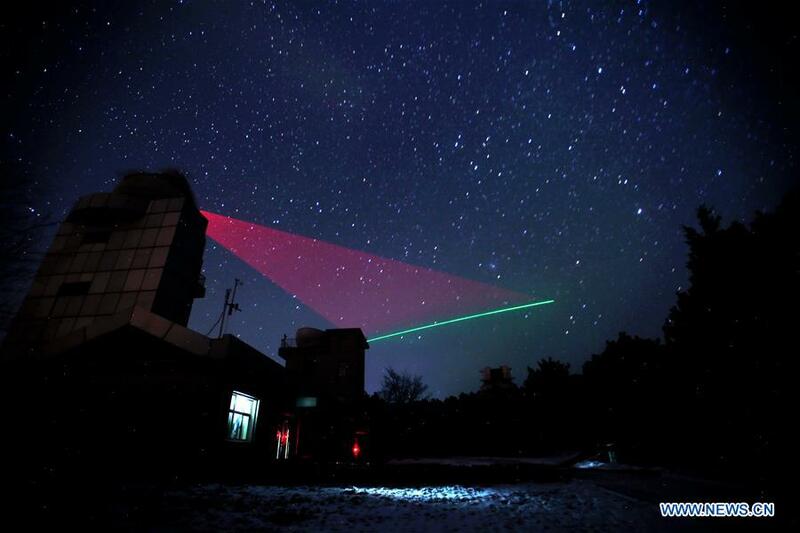 It demonstrates that the Chinese quantum satellite is capable of facilitating intercontinental quantum-secured communications. Through satellite-to-ground secure key distribution, a secret key was created between the two countries at locations some 7,600 km away from each other. During the experiment, scientists transmitted images between the two countries, and a 75-minute video conference was successfully held between Beijing and Vienna. Traditional public key cryptography risks being hacked, while quantum key technology, used in quantum communication, eliminates the possibility of wiretapping and secures the communication. The satellite -- Quantum Experiments at Space Scale (QUESS), nicknamed "Micius" after an ancient Chinese philosopher -- was launched on Aug. 16, 2016.